If you&apos;re one of the many sneakerheads who wears a larger than average shoe size, you know just how hard it can be to find heat that fits. 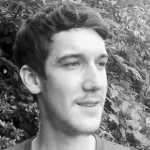 Ordinarily, big-footers are forced to settle for their second, third, or even fourth choice, leaving the pair that they really wanted sitting on the shelf for someone more fortunate. But this isn&apos;t any ordinary story. 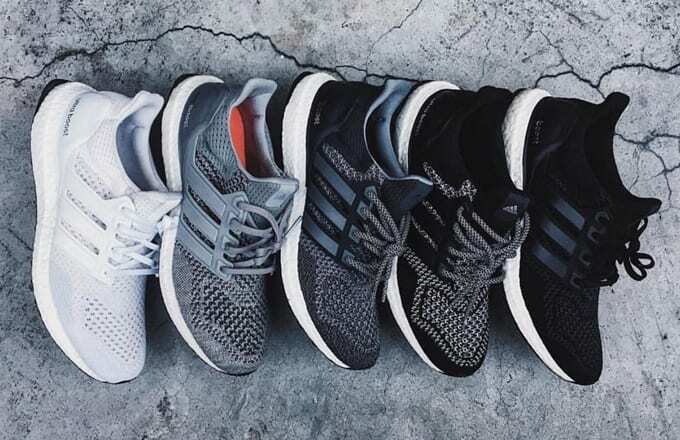 A Reddit user shared his experience hunting for a pair of size 14 "Wool Grey" adidas Ultra Boosts, and the outcome might just be the best thing you see all day. 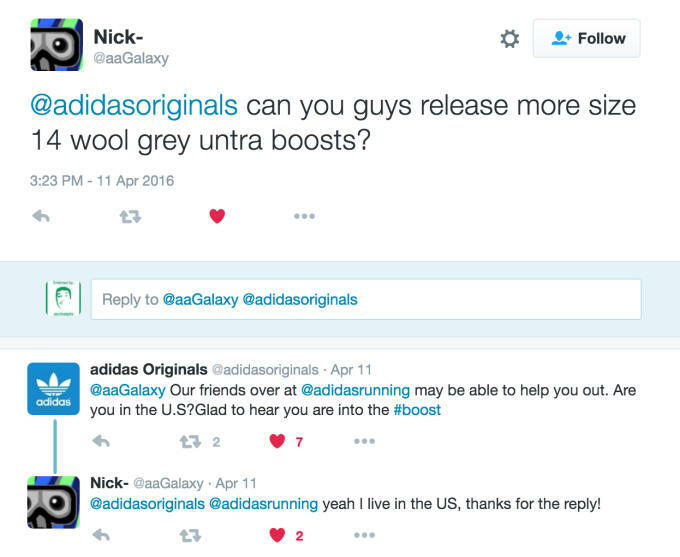 First, he hit up adidas Originals on Twitter asking for a restock of the Ultra Boosts, and they directed him to the adidas Running account. 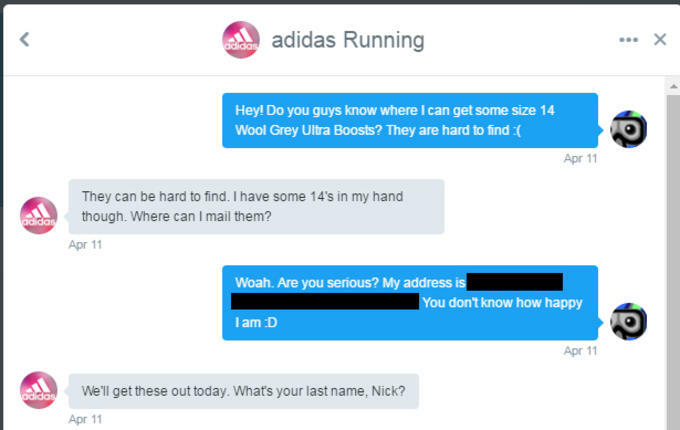 Nick then reached out to adidas Running, who happened to have a pair on hand. Pretty cool, right? But the real kicker was when the Ultra Boosts arrived, free or charge, with a hand-written note. Seriously, how dope is that?